Korea has secured five taekwondo quota places for this year's Youth Olympic Games. 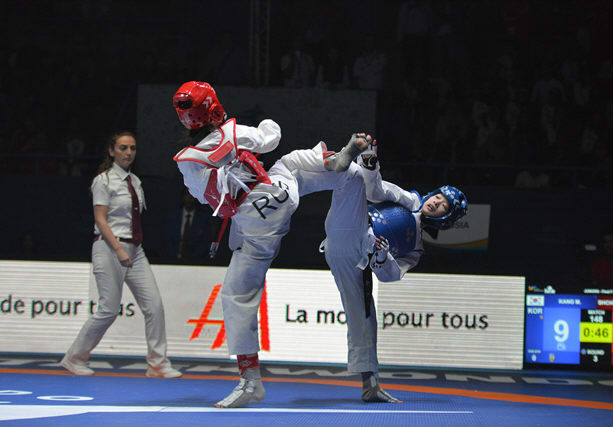 At the World Taekwondo's qualification tournament for the 2018 Youth Olympics, which ended in Hammamet, Tunisia, on Saturday (local time), Korea saw five athletes earning Youth Olympic spots. The 2018 Summer Youth Olympic Games will be held from Oct. 6 to 18 in Buenos Aires. Korea only sent one taekwondo practitioner to the 2014 Youth Olympics in Nanjing, China. At the Youth Olympic Games, there are five weight categories for both the male and female divisions. A country can have a maximum of three men and three women athletes, with one athlete maximum per weight category. At the qualification tournament, Korea only failed to earn a Youth Olympic spot in the women's 55-kilogram category. Korea will send taekwondo athletes in the men's 48kg, 55kg and 63kg categories, and the women's 44kg and 49kg to the Youth Olympic Games in Buenos Aires.